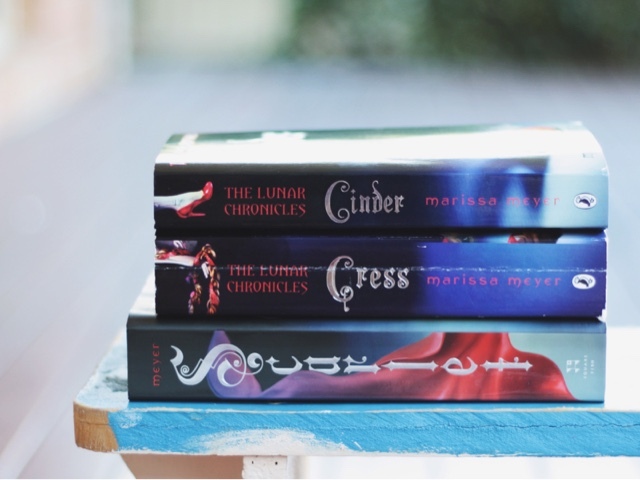 I’ve just burned through the first three books of Marissa Meyer’s The Lunar Chronicles, and I’m as happy as a schoolgirl on muckup day. I’m filled with a sort of giddy, evangelical joy that makes me want to buy multiple copies, one for each of my friends, and distribute them. To be honest, I’d only need to buy the first book of the series because these books are a drug – a big, happy, fairytale, joy-drug. My lovely book-fairy-friend Hayley got me hooked, and bam: just like that I'm a pusher, too. The four books of the Lunar Chronicles – Cinder, Scarlet, Cress, and Winter – and their various offshoots are, essentially, sci-fi reimaginings of beloved fairytales. Hear me squeal when I say: the coolest. As far as sci-fi goes, these books are a delight. The world building is impeccable, immaculately conceived and executed, but also ridiculously accessible. I love sci-fi but I don’t like getting bogged down in laborious descriptions of how things work, of how this particular aspect of life in space is made possible through this intricate and specific process. I like enough information that I can believe in the world, and then move on. Meyer nails this, never setting a foot wrong. She also manages to set her world – her universe, really – within a global context. One Goodreads reviewer commented that dystopian novels tend to be focussed so clearly on the US that one wonders what is going on in the rest of the world while North America claws itself to pieces. 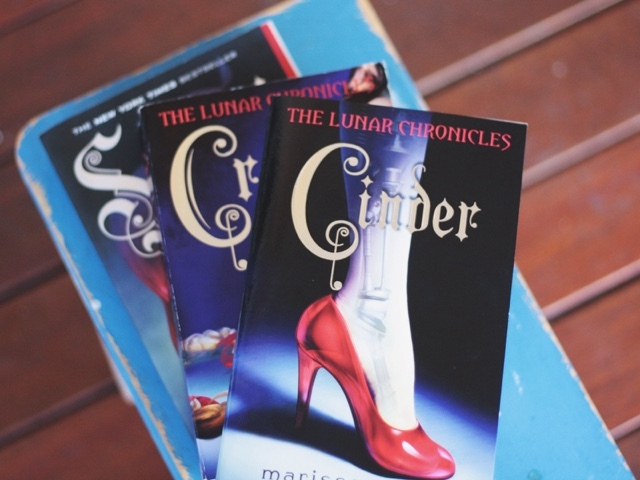 This is never an issue with The Lunar Chronicles, as the story takes its characters from Asia to Europe to Africa to the moon and beyond. There is a global sensibility to the characterisation, to the naming of people and places, and to the division of power, too. It’s so refreshing. As an addition to the reinvented fairytale oeuvre, these books are perfect. Meyer takes the heroines, antagonists, and complications of fairytale classics and manages to hit on all their major touch points in a way that is both nostalgic and satisfying. However, she also finds fresh angles from which to examine their stories and personalities, and there are some very fun “aha!” moments along the way. Each book focusses on the story of one particular fairytale heroine, but along the way, their tales become inextricably linked and the reader is pulled along on an epic journey to save earth from dark forces – because these are fairytales, and there’s always got to be a baddie. But what really works is the loveability factor of the characters. They are clearly drawn, sweet, funny, flawed, and brave. Marissa Meyer even managed to convince me (in just a few pages) to love an android. What more can I say? These books are romantic, and I’m not a big fan of fictional romance because so often it aims to be powerful and instead lands somewhere around cheesy (at best) or cloying and embarrassing (at worst). I like my romance as a sidenote appended to the “real” story. So it’s funny that these completely fairytale romances tugged at my heart and held my attention so completely. But they revel in loyalty, in the characters accessing their inner courage, in using their weaknesses as toeholds to find their strengths. There’s a lot of fierceness to these stories, but there’s a lot of sweetness, too. All of this and I’ve managed to not really tell you anything that happens in The Lunar Chronicles. Which I think is for the best. If you know your fairytales, you’ll guess at some of the plot developments. But others will come as a delicious, hand-clapping, toe-curling surprise. I’ve been reading lots of classics lately, old favourites as well as twentieth century big guns. I’m finding them to be mentally, creatively, and philosophically stimulating. But it’s made me so happy to lose myself in something so light and joyful, but with enough drama to keep me turning the pages. They do justice to the spirit of the original fairytales. I guess I’ll just be over here chewing my fingernails to the quick until Winter and Stars Above arrive in the mail.